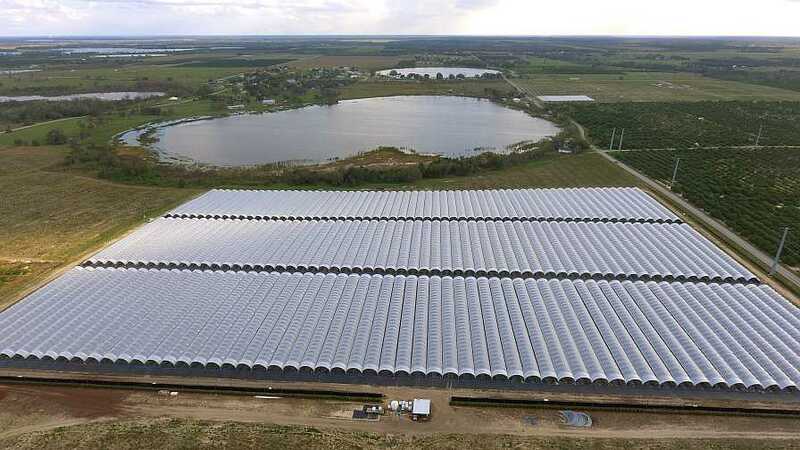 Plant City, FL-based Wish Farms bet big on organic blueberries earlier this year by adding a new 20-acre farm (“Misty Organics”) under high tunnels in Alturas, FL. Plans are to add more acres on the property in the future. There is a famous old marketing adage that says “the customer is always right.” While some might argue the claim, there is little doubt when growers respond to a hot trend and plant what consumers are asking for, there is a chance for rewards. Organics are hot and have been for years now. There is no more clear evidence of this than their growing presence in the produce sections of major retailers and their abundance at local farmers’ markets. Since USDA began its organic regulations in 2002, the sector has grown to roughly 25,000 certified organic farms with nearly $50 million in U.S. retail sales annually. According to Marty Mesh, the Executive Director of the Florida Organic Growers Association, there are about 325 certified organic farms in Florida ranging in size from very small to very large. While the sector is not seeing the annual double-digit growth rates of the previous decade, Mesh says organic produce continues to outpace other food categories in the retail sector. He says this is being driven by consumer demand and growers realizing they can successfully grow organic crops in Florida. Mesh, an organic farmer himself, says growers considering organic certification should do their homework on the front end to ensure the process goes as smoothly as possible. First and foremost, he suggests growers consult with a certification service to learn about the process. Quality Certification Services is the certifying arm of the Florida Organic Growers Association and can provide good guidance to interested producers. If the land being farmed has been in conventional production, a three-year transition period of using approved organic inputs and practices is mandatory before certification is granted. “Approved” is the most important part of that requirement. In that scenario, the grower would have to go back to the date when milorganite was last applied and start the three-year transition period over again. Having a good relationship with a certification entity from the beginning to the end of the process can help growers avoid unnecessary missteps. Mesh also encourages growers to keep very thorough records during and after the transition period. This makes the certification process much smoother with solid documentation of what inputs were applied. And, he says it just makes good business sense. Mesh says there are plenty of tools available to growers for recordkeeping, whether it be Excel spreadsheets, other software, or even a spiral notebook. Just make them detailed because organic certification requires it. 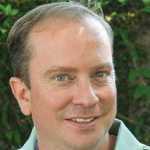 Finally, Mesh says growers need to have an idea about their market strategy before going organic. What are you going to grow? Is there demand for the product? Are you going to sell into the wholesale or retail sector or on a smaller scale through Community Supported Agriculture (CSA) or farmers’ markets? 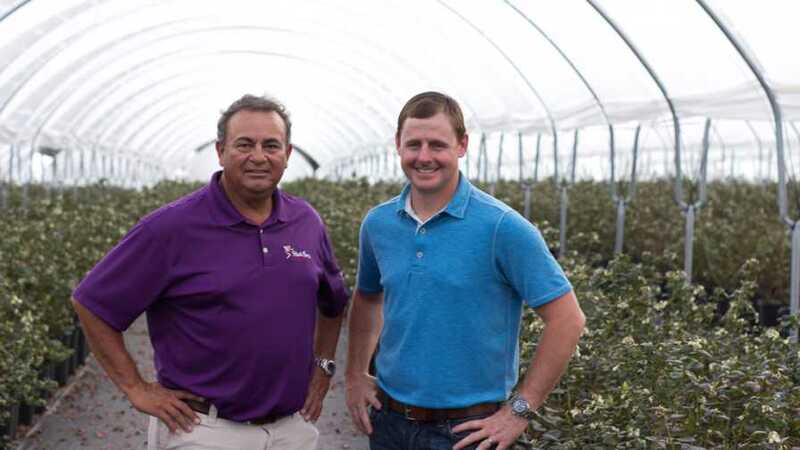 Teddy Koukoulis (left) and J.C. Clinard saw a market opportunity for organic blueberries in March, so they pursued the Misty Organics venture. Market forces and consumer demand are making organics an attractive product offering for growers. Millennials like organics for themselves and their families, and currently 25% of them are parents. Within in the next 10 to 15 years, 80% of them will be parents, according to a study by the Organic Trade Association. Those demographics bode well for continued organic produce demand. Teddy Koukoulis, Director of Blueberry Operations for Wish Farms and co-owner of Misty Organics, saw a need in the marketplace for organic blueberries. Koukoulis established Misty Organics in partnership with Gary Wishnatzki and J.C. Clinard. The new joint venture is growing organic blueberries under tunnels in Alturas. Koukoulis says he and his partners didn’t rush into the process because they were looking for the right property to place the blueberries. The 20-acre farm sits on a south-facing slope that overlooks a lake front. This geographical arrangement, coupled with high tunnels, creates a greenhouse effect. The high tunnels provide both freeze protection for the crop and higher growing temperatures during cooler periods. The cover also protects the crop from rain, hail, and general moisture. 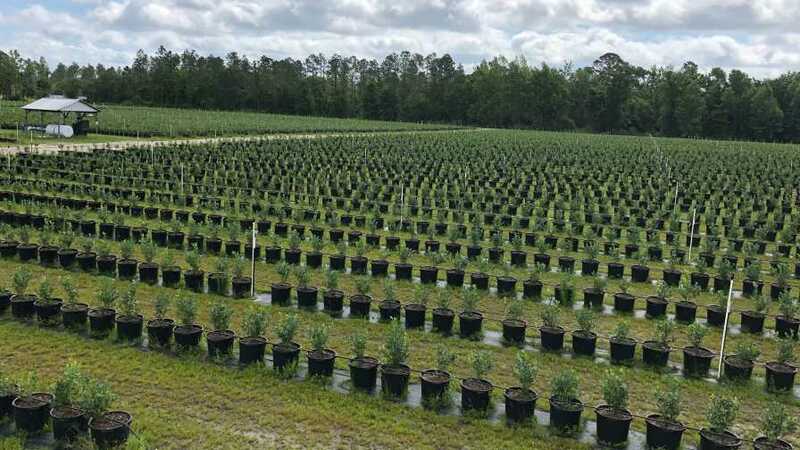 The blueberries are planted in pots utilizing a state-of-the-art irrigation system with sensors that detect when moisture levels hit targets requiring water. The purpose of the production system and tunnels to is control Mother Nature as much as possible with the goal of producing an early crop to hit the favorable market window in early spring. When it comes to organic certification, since the blueberries were grown in pots, virgin soil media was brought in, which allowed the growers to avoid the three-year transition period. The pots also allowed more than twice the normal plants per acre to be planted. Koukoulis says one of the bigger challenges they faced in their first season was getting the right amount of fertilizer to the plants with the products available. Fish emulsion is one source of nitrogen used. 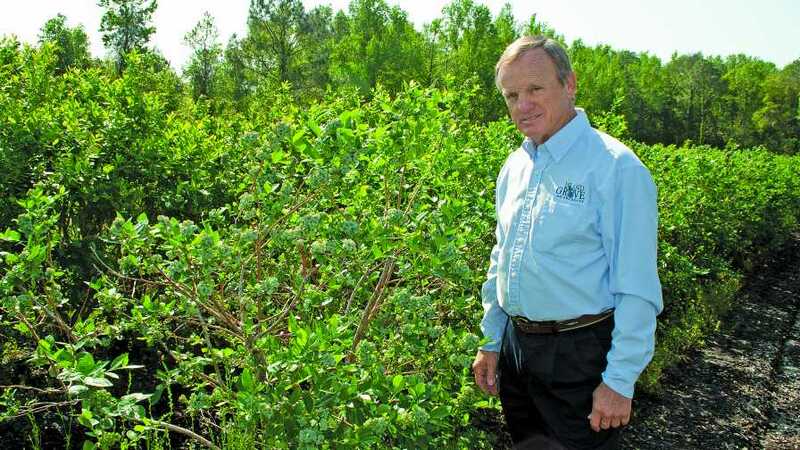 Ken Patterson of Island Grove Ag Products in Hawthorne, FL, believes organic blueberries are a good defense against the influx of Mexican imports competing in Florida’s market window. Island Grove Ag Products also has placed an emphasis on organics in recent years. Ken Patterson, Owner and Managing Partner of the Hawthorne-based farm, says they planted their first organic blueberries about eight years ago. They have continued to add or transition their acreage since then. Patterson says market dynamics and competition from Mexico are the driving forces behind their move to organics. According to the Florida Blueberry Growers Association, as of May, Mexico had exported about 43.5 million pounds of blueberries into the U.S. These low-cost imports reduced the value of the Florida crop this season. “Most of Mexico’s blueberries are conventional though. We saw this coming several years back and felt like organic berries would give us a good market differentiation. We saw organic consumption going up by double digits every year and blueberry consumption on the rise, so we felt like it was the right move to align ourselves with the future,” Patterson says. By planting blueberries in pots with virgin soil media, Island Grove Ag Products was able to forgo the three-year organic transition period. To help with certification, Patterson says some of Island Grove Ag Products’ acres are planted in pots or on land that was previously in pine trees. Those farms got certified right away, but he had other plantings that needed to go through the three-year transition. His biggest advice to growers considering making the transition is to watch your costs on inputs to maintain a profit margin. He says the biggest cost on their farm is weed control, whether it be blueberries grown in pots or in the ground. They utilize 3-foot ground cover to help deter weeds on beds and where pots are planted. Patterson says they also have had good luck with coconut coir weed mats placed on top of the containers to exclude weeds. Herbicide options are limited, and they have used some vinegar-based products. Patterson says the farm is trialing a new organic herbicide called Weed Slayer (eugenol, molasses, and bio-surfactant, Agro Research International), which shows promise. Patterson also emphasizes the importance of good recordkeeping to stay abreast of costs and to remain in compliance with organic certification requirements. 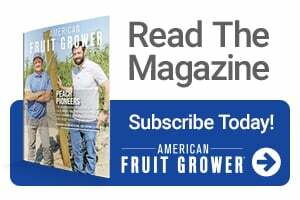 “We see an advantage growing organic blueberries, but keep up with what you are doing and applying in fields because your expenses can get away from you fast if you don’t,” he says. Going organic: If there is a will to produce organic, there is a way to grow organic.